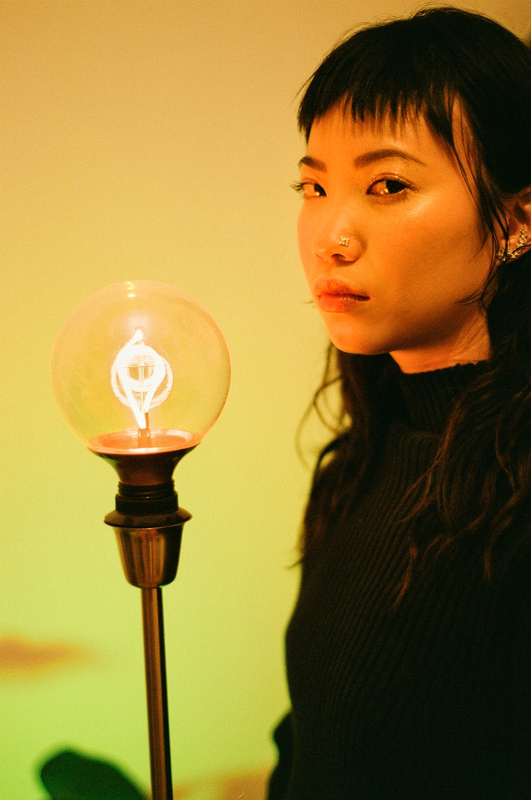 For producer and DJ Felicia Chen (aka Dis Fig), risk-taking and provocation is an integral part of the creative process. “My aim is to grab my listeners emotionally–pour my soul down their throat and shake every thread of their being,” the Berlin via New York artist says. Among her most iconoclastic productions includes the score to “An Atypical Brain Damage,” an experimental 90-minute pop opera and performance piece by Chinese contemporary artist Tianzhuo Chen, which was subsequently released on the New York collective and experimental label PTP. The work embodies Dis Fig’s musical signatures: murky ambience-meets-horror film soundscapes, derivatives of industrial four-on-the-floor rhythms, and psychologically turbulent themes. Described as a “club hero” in her profile by FACT Magazine, Dis Fig is both a staple of the Berlin nightlife scene, having played at CTM festival and the opening party at Berghain’s alternative electronic floor Säule, and a member of the global underground. In the past, she has performed at Unsound (Poland), Nyege Nyege (Uganda), Mutek (Montreal), and Wetware (China) festivals, as well as twice on Boiler Room. Her radio show Call Dibs with co-DJ Hunni’d Jaws for the now-discontinued Berlin Community Radio was a local cornerstone for her fellow experimental club peers and hosted artists such as Giant Swan, Via App, Air Max ’97, Chino Amobi, and Shygirl, among others.